Christmas is a time of joy, rejoicing and celebration for God has given us Jesus, the most precious gift of all. So come celebrate Christmas as a family of Christ at our deLIGHTful little CHRISTmas party. 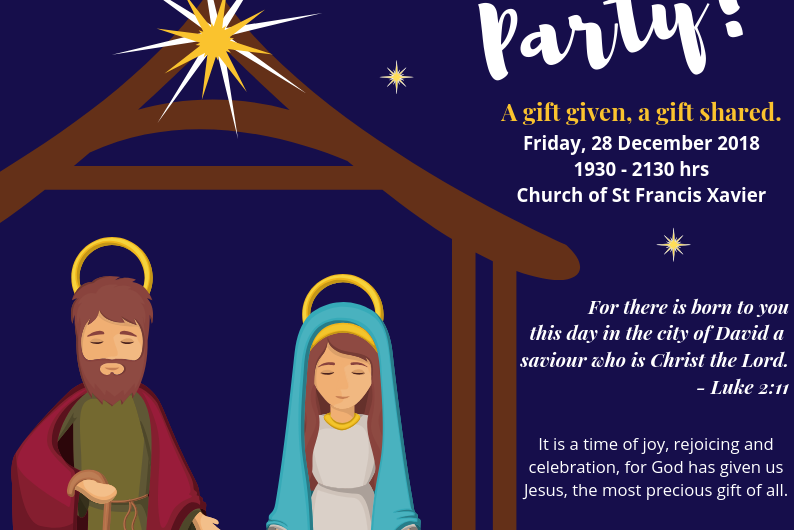 Held on Fri 28 Dec, 7.30pm – 9.30pm. It will be an evening of food, bingo, carolling, performances and fellowship!